Women in power was the subject of the Active Learning Centre’s (ALC) latest seminar that was held on Monday 3rd November 2014, in the University of Glasgow. Speakers included Lord McConnell, First Minister of Scotland (2001 – 07), Maggie Kathewera Banda, Executive Director of the Women’s Legal Resources Centre (WOLREC) and Kezia Dugdale MSP, one of the founders of Scotland’s new Women 50 50 campaign. Maggie Kathewera Banda gave a presentation on ALC and WOLREC’s cascade training programme, Empowering Malawi Women as Leaders, (EMWAL), which trained around 1,700 women in Malawi for the 2014 local government elections. 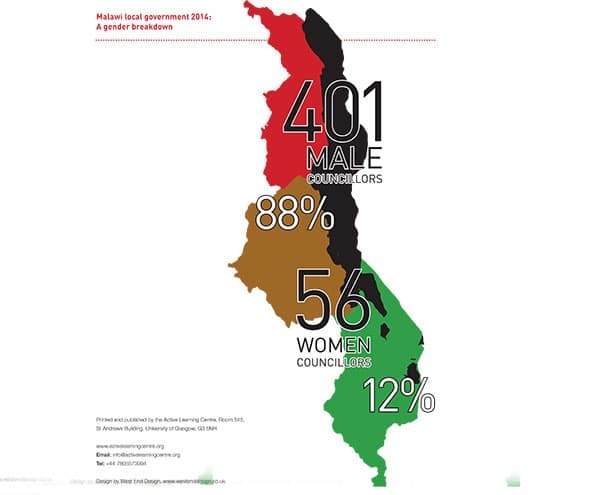 Alice Harding Shackelford, the Country Director for UN Women Malawi has written an article for ALC, reflecting on why women candidates did so badly in the 2014 Malawi tri-partite elections.